For a taste of the real Solomon Islands, discover our selection of untold stories – whether you’re looking forward to your first visit or wanting to relive past memorable trips to this well-kept travellers’ secret. Read stories that come direct from the locals and keep in touch with the news, events, culture, people and their daily lives from a personal perspective. 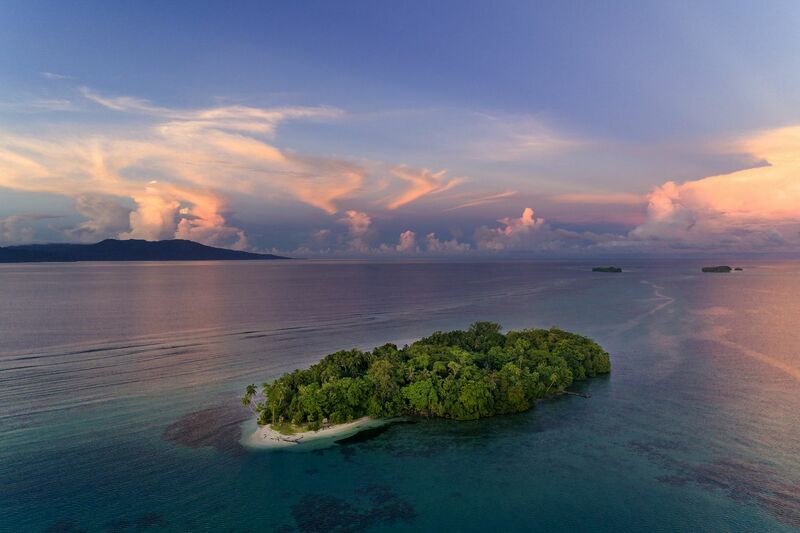 Discover the real Solomon Islands from the people who know. Culture is at the Centre of Solomon Islands society. Communal, clan and family ties remain strong with the existence of the wantok system. The water was chilly and foamed around me, a natural spa in the wilderness. Along the breadth of the Kohove River are many pool pockets like this surrounded by tall walls of rock and primary vegetation. Kohove is more like a really long gurgling stream than a river, although when the skies open up the rain gates, the river shows its true status. The clear waters follow the contours of fallen boulders and tree trunks that have been loosened by the rains and eroded from either side of the river. They rest on kohove’s watery bed forming centerpieces for miniature waterfalls and pools, shallow in places and bottomless in others. Kohove River is located west of Honiara. I started the walk from Lumatapopoho village with my guides Joachim Belei and Francine Jaki. Kohove River trek is packaged around the Vera Tapopoho Cultural Village and Barasai Waterfall activities. Dreadlocked Joachim was keen to show me Barasai. The long and often challenging Kohove River takes you there. Having done the trek, I would recommend Kohove itself as a destination on its own because the river system offers many delightful distractions. Trek on to Barasai if you wish, but you will find the river worth the walk. The cultural village wasn’t well established when I’d done the activity through Sightsee Solomon Islands Tours. Hopefully you get a better opportunity to experience cultural activities like the tatalonga ceremony (traditional welcome), traditional ways of fire making, and food prep demonstrations. Boulders along the river will slow you down, but patience and good-footing will get you around the obstacles. Once or twice we detoured up the slopes to progress. Returning to base, we took a different route to save time. Instead of retracing our soggy steps to the village, we ascended the steep slope to the top of open-air Tahile Trek, metres above kohove. Along Tahile you have a 360 panoramic view of ocean, grassland, pockets of houses in the distance, and Honiara’s water catchment site (kongulai). All is quiet except for the squishing sound of wet shoes and small talk. If you think you’d want take the Tahile route back to the village, you may need bug repellent. But if the route has been off tall grass then you should be fine. Whatever you do don’t trek Tahile as an entry point to Kohove because you will surely miss the beauty of the river. Begin your trek from the village and let the river mesmerize you. There are other ways to get to Kohove River and Barasai waterfall, but my entrance was possible through Sightsee Solomon Tours. They are your liaison with the village community and will pick/drop from your hotel to village site. See them also for cost information. Kohove River is a gem; experience it! Known as the “Salt Water” or “Solwata” (in Pidgin) people, these are people who live on man-made artificial islands around Langalanga and Lau Lagoons in the Malaita Province and Duff Islands in Temotu Province. 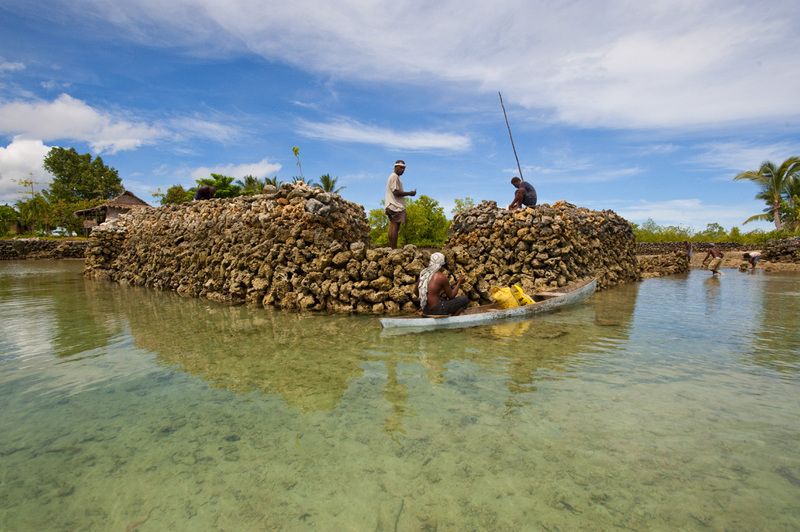 These islands are built by human hands with skills which have been handed down from one generation to the next. The largest, oldest and the most densely inhabited of such islands is Sulufou in the Lau Lagoon. There are more than 100 families and about 2000 people living there. In the Langalanga Lagoon one has the opportunity to experience life on an artificial island first hand. You can stay on artificial islands in Langalanga Lagoon “Busu Cultural Village” and “Serah’s Lagoon Hideaway” both offer accommodation, demonstrations of island building and several other traditional arts that are still kept in practice.